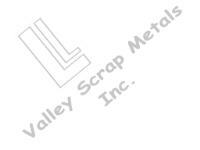 Laurier Labelle, owner of L & L Valley Scrap Metals for almost 11 years has new and random steel products that are now available for customers in the area. Valley Scrap Metals has been in the recycling business for over 30 years, collecting all kinds of steel, aluminum and metal pieces which are then either sold as scrap to individuals or shipped off to the mills and factories. Besides scrap from businesses, Laurier receives at least 30% of his total from residents who drop off everything from batteries and steel to pop cans and copper wire, and all types of aluminum. 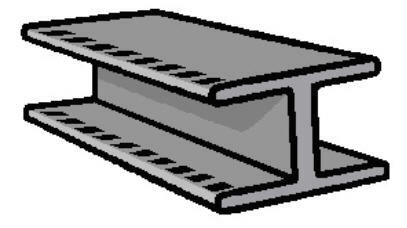 However, he and his staff now especially pleased to be able to offer a complete selection of new and random steel products which are stored inside their spacious warehouse. Purchasing surplus pieces of angles, tubings, flat bars, channels, plates, rounds, solid tubing and solid rounds from factories at discount prices enables L & L Valley Scrap Metals to offer these products to local customers at the lowest prices around. "We have everything you could possibly need for just about any project," explained Laurier. 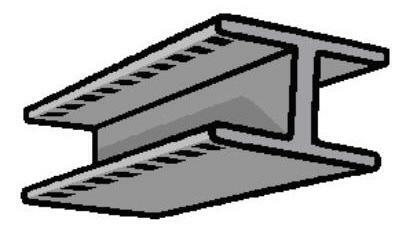 "You can get anything you are looking for such as clothes line posts, beams for your house or garage, plates for trucks or ramps, steel mesh, tubing for household decorations, or anything else made out of steel, including reinforcing bars and mesh for all your cement projects. And if we don't have it in stock, we can usually get it for you in two days." Hundreds of local residents now have their own welding outfits at home and have the ability to work wonders with steel. The durability of steel, which can be painted any colour to prevent rust, and the fact that it now costs less than wood in most cases, makes this an excellent material with which to work. Laurier and his sales manager, Marty Cronier, invite anyone with a project in mind to first of all stop in and see the excellent selection of new and random steel as well as the hundreds of items in the outside scrap yard. You never know what you might find when you visit L & L Valley Scrap Metals. Open Monday to Friday from 8 a.m. to 5 p.m. and Saturdays from 8 to noon (with the exception of July and August), L & L Valley Scrap Metals is one place you must visit before beginning any project or job which requires steel. Call today for more information or just drop in and ask for Laurier or Marty.